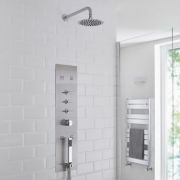 Enjoy a luxurious showering experience with the Milano Lisse concealed thermostatic shower tower and 300mm round shower head. 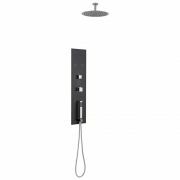 Supplied with the wall mounted arm, the stylish shower head delivers a refreshing rainfall effect. 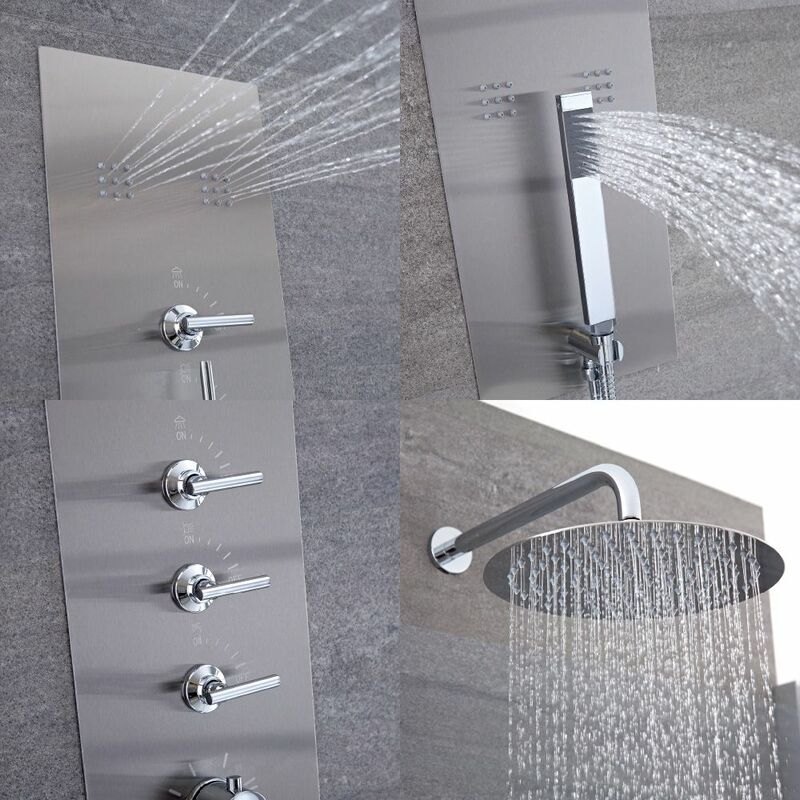 Made from stainless steel, it features a chrome finish and easy to clean silicone nozzles. 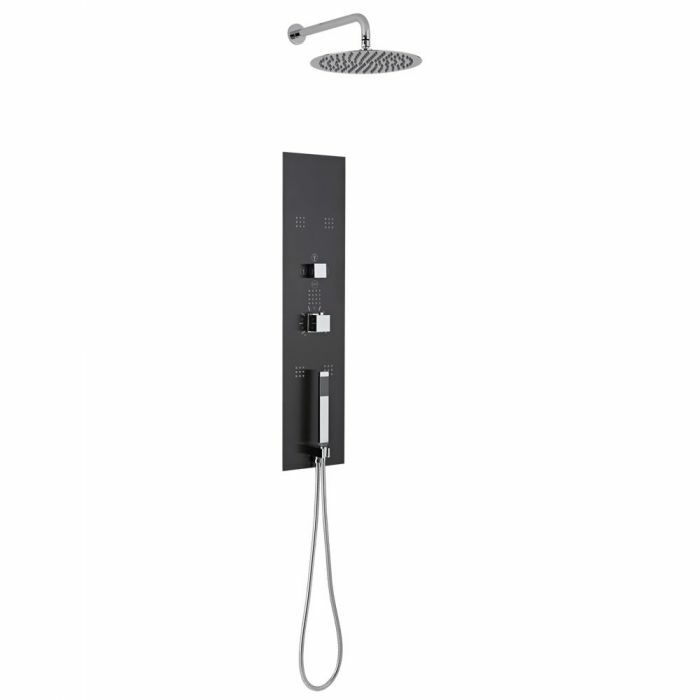 The shower panel incorporates four massaging body jets and a shower handset with hose. 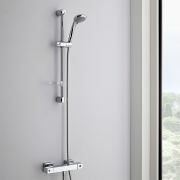 Featuring a brushed chrome finish, it has been designed to be fitted into the wall for a sleeker, more streamlined look.